Charles Hurst Peugeot has become the first Dealer in Northern Ireland to gain the Motability Gold Award, and only the 4th in the UK to do so. The dealer awards programme recognises dealers across a number of categories and is designed to reward best practice and ensure all Motability customers receive exemplary customer service across the dealer network. The awards are judged on how a dealer delivers the scheme to customers, and is assessed through customer feedback, reviews of their Motability performance and levels of engagement. The Charles Hurst Peugeot team, headed by Motability Specialist Jennifer Farmer, received the Bronze award in 2013, gained silver in Quarter 1 2014 and will now automatically be entered into the nominations for the Annual Prize. Charles Hurst Peugeot are grouped in the largest dealer league where competition is at its highest. Dealers in this league supply large numbers of Motability vehicles and have showroom specialists dedicated to the scheme. Motability are constantly monitoring the ability of the specialist to ensure that they are fully competent in all aspects of the scheme. Jennifer has 11 years' experience with Charles Hurst Peugeot and has been very comfortable with how the Motability Scheme has developed. 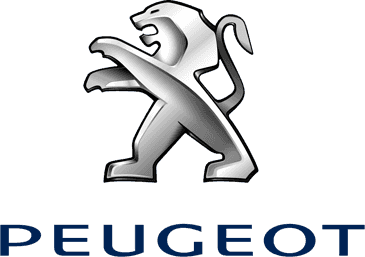 “We have a great range of cars in Peugeot and customers can feel relaxed when they are choosing a car to suit them. We normally have the popular cars on the scheme on view in the showroom, so it's easy to make the right choice. I find it Important to make a firm appointment- that means that I can prepare for the customer visit and that the customer isn't kept waiting. To win the award for the third time in just over a year is amazing, and it gives me a great deal of satisfaction to know that we're doing things right. It has been a great team effort to gain the Gold award over the last few months, and it's quite an achievement for aNorthern Irelanddealer to be competing with the Big Mainland City Dealers, so it's a Big Thank You to all our Motability Customers for their Loyalty and Support."